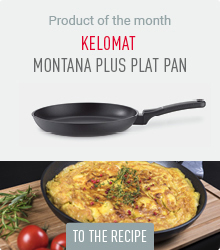 KELOMAT’s KERAMIKA pan is part of a good basic equipment in every kitchen for uncomplicated and yet perfect roasting without sticking. 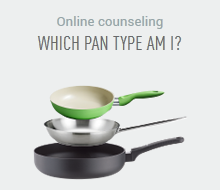 The pan comes in four sizes: 20, 24, 28 cm diameter, as well as in 32 cm with counter handle and as roasting and frying pan. Thanks to its ceramic coating, baked potatoes, steaks and sausages will become crispy on the outside, without sticking to the pan.